The Annual Bamb Stakeholder Network Meeting 2017 took place on the 24th January in Brussels (#bambsn2017). Many people helped to make it a successful day. Thank you, Vincezo Gente and Julien Dumont for opening remarks, Vincent Basuyau and Romain Poulles for keyntoes, BAMB partners for presentations and participation, Brussels Environment for organizing, Lisa Apelman, Ronneby Municipality for moderating, Sound and teach support for a wonderful job and last but not least the Stakeholder Network! Thank you for coming and sharing this afternoon with us! Julien Dumont, opened the floor with some opening remarks. Next speaker was Vincezo Gente, Senior Project Adviser at Executive Agency for Small and Medium-sized Enterprises (EASME). In the Horizon 2020 Environment and Resources Unit, in the Eco-innovation Sector, Mr Gente contributes as a Senior Project Adviser to the implementation of the Horizon 2020 Societal Challenge: “Climate Action, Environment, Resource Efficiency and Raw Materials”. In particular with eco-innovation and circular economy thematic areas. BAMB is an EU funded innovation project, part of a larger development towards circularity in Europe and the world. Two keynote speakers helped us to set the stage for this day: Vincent Basayau and Romain Poulles. Vincent Basuyau put BAMB in a bigger European context, presenting related initiatives instigated from EU. Vincent Basuyau contributes to the development of the EU industrial policy with regard to international competitiveness and sustainability with a specific focus on Mineral Waste and Construction & Demolition Waste. Mr Basuyau joined the European Commission at the DG GROW Unit C.1 Sustainable Industrial Policy and Construction as Policy Officer in 2014 after 30 years in the construction material sector worldwide. 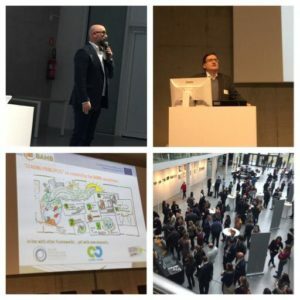 Romain Poulles, CEO and founder of PROgroup, SUSTAINABLE CONSTRUCTION ENGINEERING and circular economy consultant gave a view on how they work with circularity in the building sector in Luxemburg. PROgroup is a Luxemburg based group of engineering companies which is active in the field of sustainable building and engineering based on circular economy principles. Smart design” is the motto of PROgroup based on the following principles : “desirability, circularity, functionality, viability”. These presentations put BAMB in a context. Circular aspects are being developed in many parts of our society and in other initiatives within the built environment. This means BAMB is lucky to be in good company. Next we dived into the BAMB project. Wim Debacker, Senior Researcher in Sustainable Built Environment at VITO presented the vision and guiding principles developed in the project and the state of the art report with barriers and opportunities investigated. 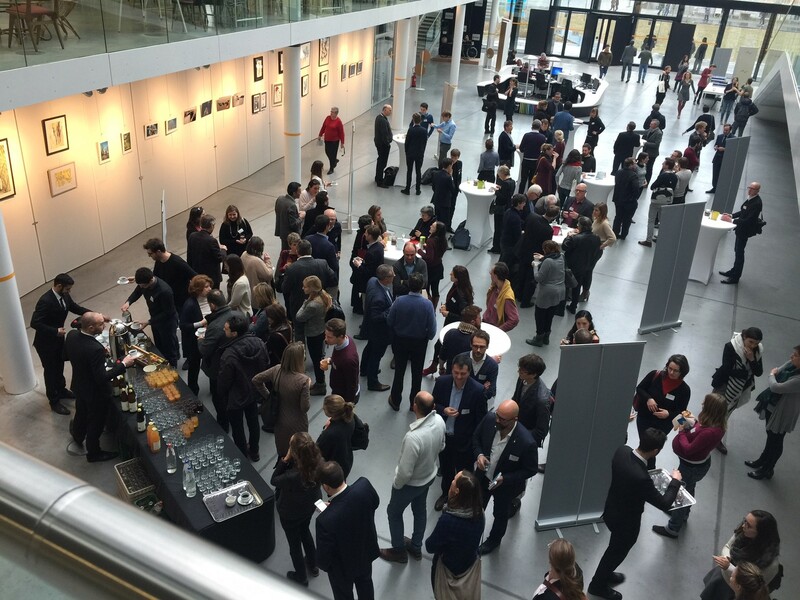 After a well-deserved coffee break, an opportunity for conversations and to drink some coffee of course, the focus zoomed in towards the practical developments in the project. With a better sense of what is going on in Europe and where the BAMB project wants to go and where we stand today, a panel of representatives for the different parts of BAMB presented more on Materials Passports, Reversible building design tools, Business Models, Decision Making methodology and Policies and Standards with examples of how these different aspects are of value for circular building projects through the pilots experiences. Hannelore Goens is coordinating the pilots within BAMB and represents the BRIC pilot. The panel session was concluded with an opportunity for interaction with the stakeholders. 15:15 – 16:00	 BAMB’s contribution for systemic change A presentation of the work done by the BAMB Consortium in order to support systemic change. Updates will be given on the results delivered to date, as well as those underway. 16:00 -16:50	 Panel Session – A World With BAMB How far can we take the circular economy in the construction sector? – A guided discussion between a panel of experts and BAMB Stakeholders regarding how far we can take the circular economy in the construction sector. This panel session will provide an opportunity for Stakeholders to give input on the work done in the project so far, as well as their own views on opportunities and barriers.